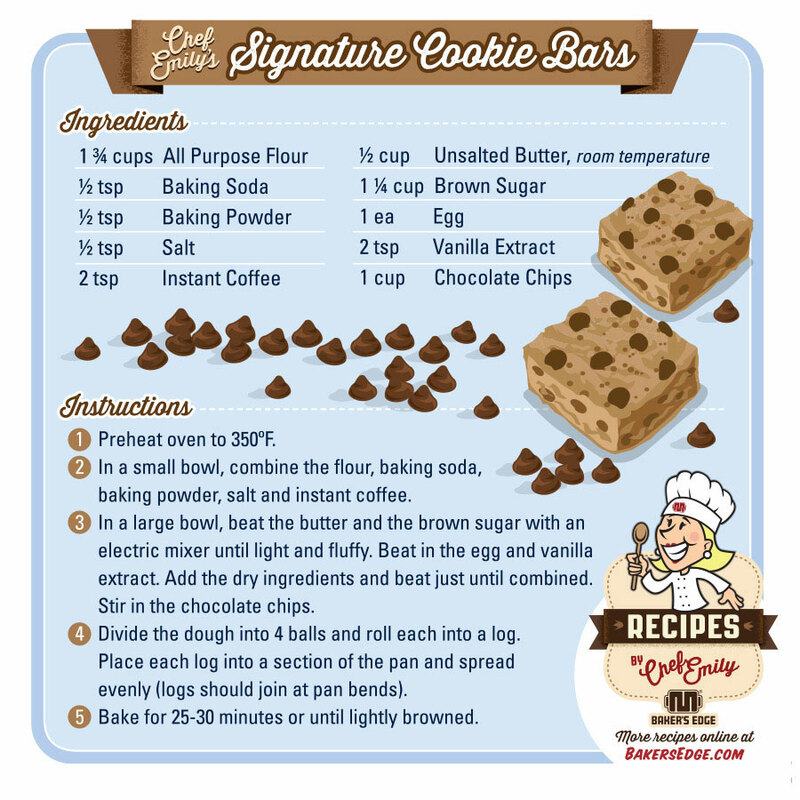 Baker’s Edge CEO, Matt Griffin, is an enthusiastic entrepreneur and inventor who serves up some great creative direction for us to run with. 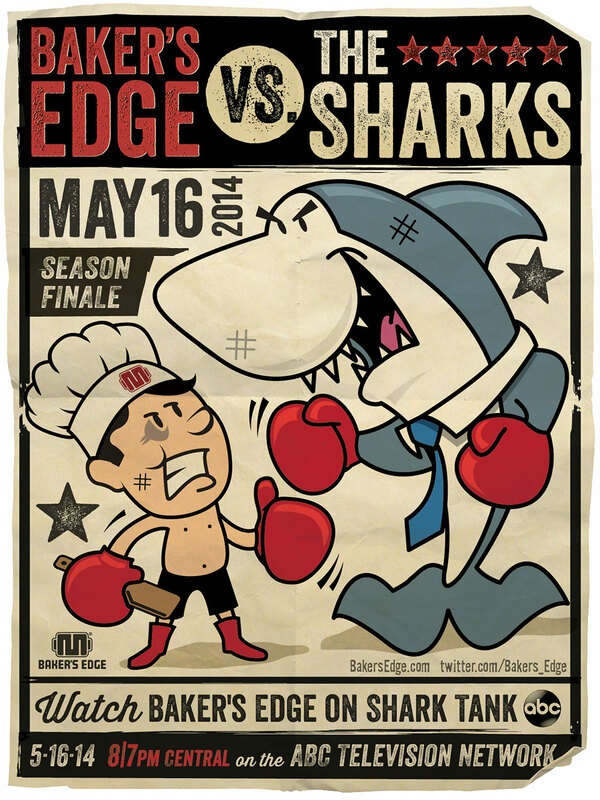 Recently, Matt requested a boxing type poster illustration featuring a shirtless chef and a menacing shark putting up their dukes, a la vintage cartoon style. This uncommonly cool direction would announce the exciting news of his upcoming appearance on ABC’s Shark Tank. 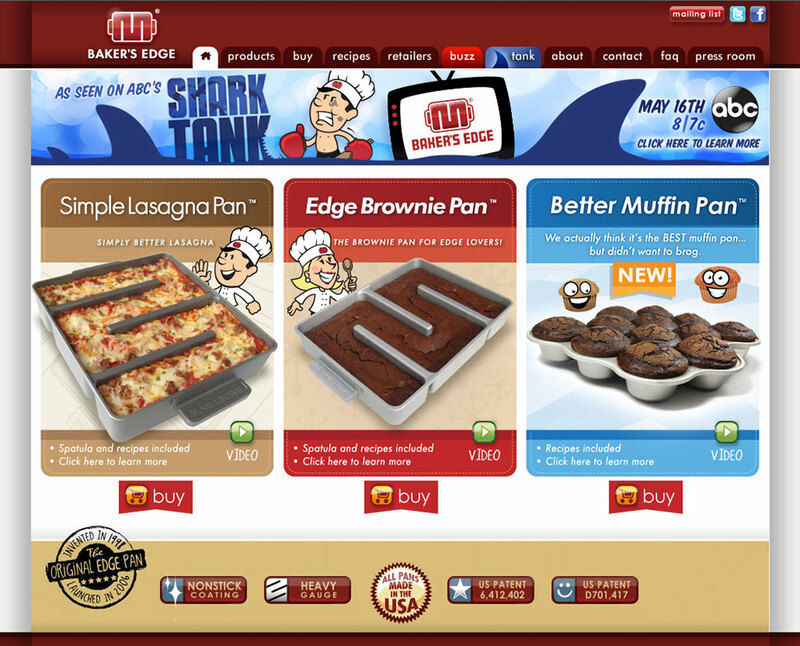 The unique bakeware company has a strong foothold in the industry, but boasts no massive workforce; it’s owned and operated by a husband-and-wife duo (Emily is a savvy chef who develops exclusive recipes for their line of high-quality pans). 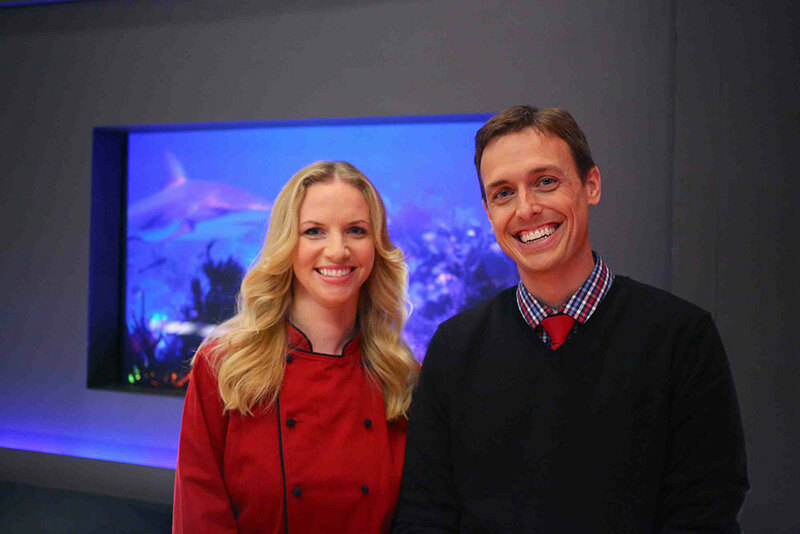 Join us as we root for ’em during and after their big night on ABC, when they face the ready-to-pounce business gurus in the season finale of Shark Tank. 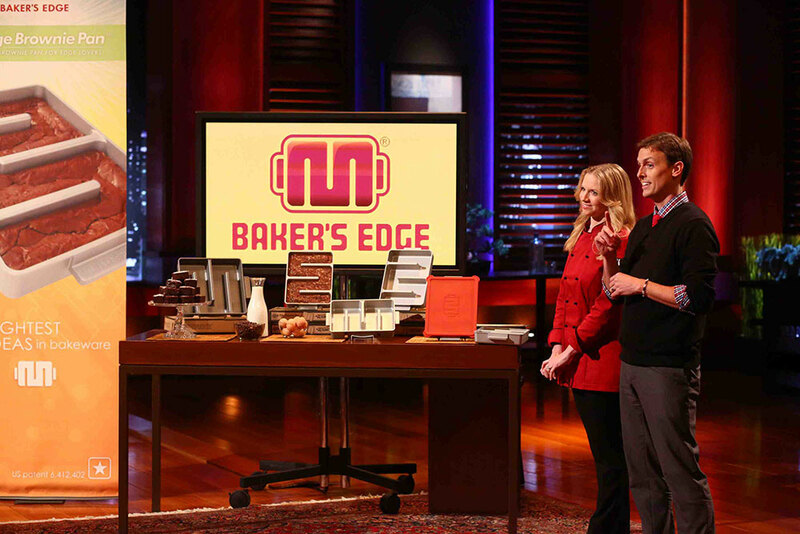 Follow Baker’s Edge via twitter and tweet during the show using #bakersedge #sharktank. 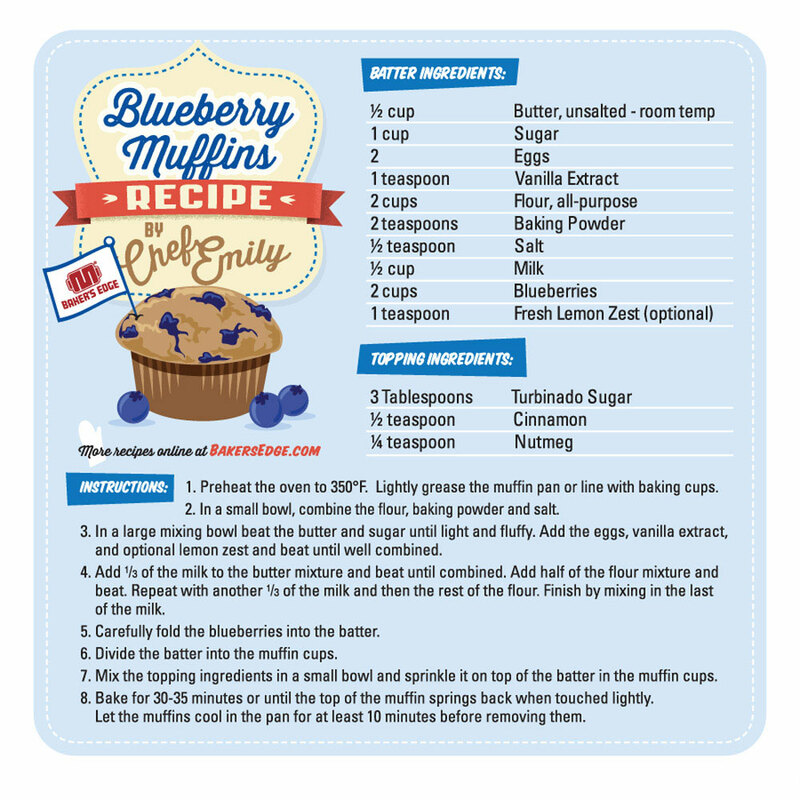 Oh, and since they’re so good, we’ll leave you with a couple recipes to whip up when you buy the Better Muffin Pan or the Edge Brownie Pan (we illustrated Emily’s tasty concoctions).